Dirt Scooter Vs Kick Scooter What's The Difference? A look at the dirt scooter and how it is different to a stunt scooter or a regular kick scooter. 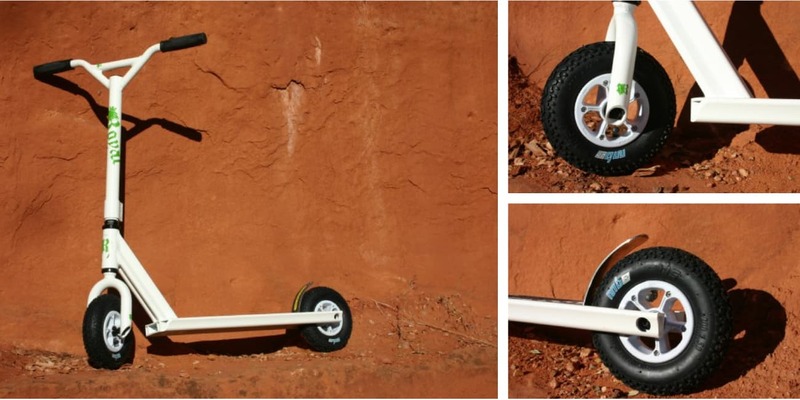 Designed for rough terrain, much like a BMX bike the dirt scooter has several points of difference Vs a stunt scooter. A detailed review of this newest class of kick scooter for riding on dirt!